We have a Whetman Equipment Sea Kayak contact line in for review from Whetman Equipment. The system is designed to safely tether two kayaks together for short line contact rescue. 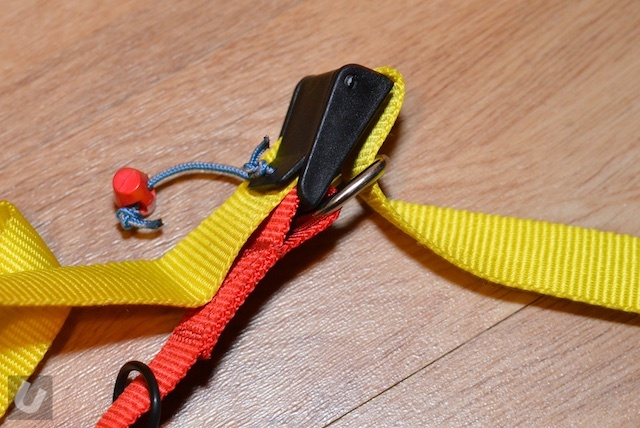 The Whetman Sea Kayak Contact Line is made up from two short lengths of tape that are colour coded red/yellow for easy identification, a metal D ring, a QR cam buckle and two carbiners. 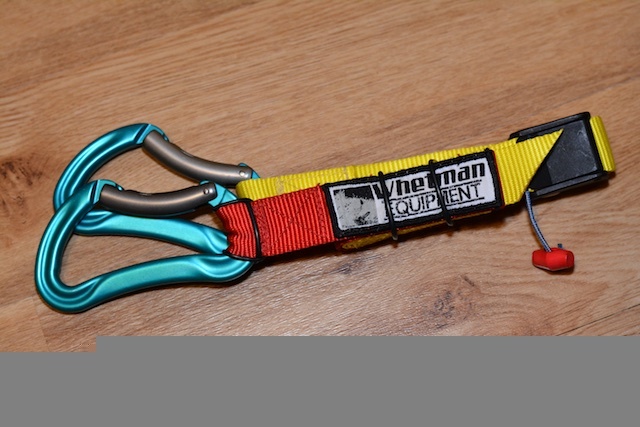 The system is available with a range of different carabiners (see the Whetman page for more details) but this one here at Unsponsored HQ comes with two Kong Argon (RK) carabiners. Reduced chance of snagging through the use of a key lock nose. If you are not familiar with Kong climbing gear, rest assured that they make some of the best climbing hardware available. So these carabiners will have no issue at all being used in this system. 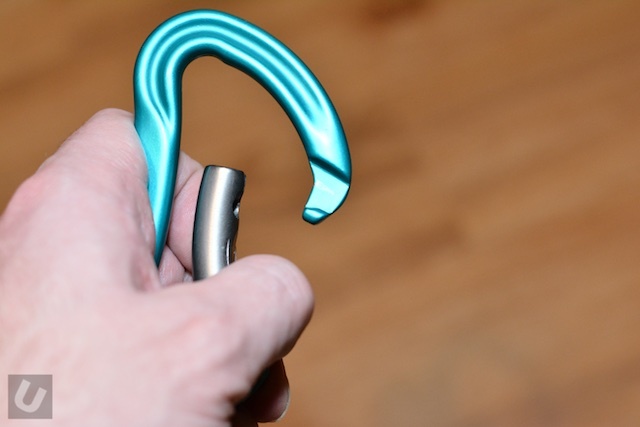 Each of the carabiners is retained in correct position within the tape via an o-ring. I remember using the same system with some Petzl runners and extenders a few years back so I know that this simple system works really well. The QR cam buckle and metal D ring work together to create a system similar to the one many us use on our rescue PFDs. By working together the system will continue to work well under load, resist slippage and yet will still be able to release easily when required. Primary application is a very short quick “contact” towline from a deck line of the rescuer to the bow of the casualty, putting the bow just behind the hip position of the rescuer. Initial impressions are very good. It is a well thought out system that has many more applications than I first thought. I could even see this being used on inland waterways is certain situations, for example instructing.